Don't compromise yourself. You are all you've got! 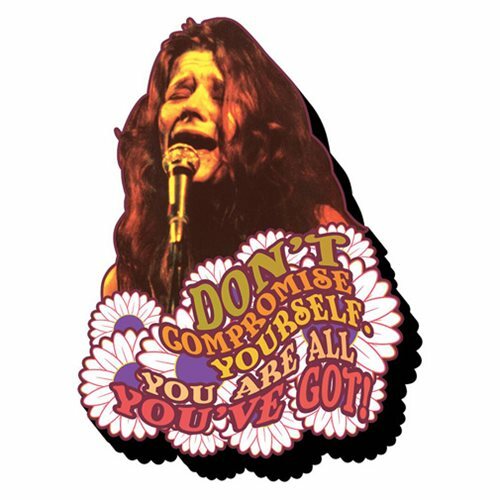 Janis is right -put this Janis Joplin Get It Funky Chunky Magnet on your fridge! This isn't your run-of-the-mill magnet. It's wooden, it's laser die cut, and it's chunky! Measures about 4-inches tall x 3-inches wide.